Bayer Leverkusen vs Nurnberg predictions for this weekend’s German Bundesliga. Leverkusen continue their chase on the top six when they host strugglers Nurnberg at the BayArena on Saturday. Read on for our free betting tips and match preview. 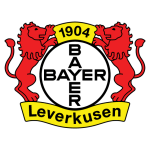 Bayer Leverkusen brought an end to their three-match losing streak in Stuttgart on Saturday. Leverkusen dominated but it took a Kai Havertz goal from the penalty spot to separate the two sides and those valuable three points see them back in the race for European football next season. Peter Bosz’s men are just two points adrift of the top six, and they should like their chances of closing the gap this weekend. On their day, Leverkusen can be quite the force – they recently had a spell of six wins from seven, which included a 3-1 win over Bayern Munich, losing only to then league leaders Borussia Dortmund – but some recent results show there are defensive issues to resolve. Nurnberg will have been content with their last meeting with Leverkusen, which ended in a 1-1 draw, but a lot has changed since then. Der Club have won just one of their last 23 matches (W1 D7 L15) – that being a 3-0 win over fellow strugglers Augsburg at the end of March – and what’s worse is that they’ve taken just three points away from home this season (D3 L11). Survival has always been the target, but that looks a tougher ask than ever. Even star midfielder Hanno Behrens – their top scorer in their 17/18 promotion-winning season – is yet to be the answer since his return from injury and they have just five matches to make up a nine-point deficit. It’s no surprise, therefore, that Leverkusen are big favourites here, but we feel the value for this game is in goals. Nurnberg might be the lowest scoring side in the Bundesliga, but they’ve had some success in front of goal against weaker defences in recent weeks. Against a Leverkusen side that has conceded a massive 11 goals over their last five matches, an average of over two per game, we like them to continue that run. Additionally, Leverkusen’s league matches so far in 2019 have seen a huge 44 goals – an average of 3.66 per game – with both teams scoring in four of Leverkusen’s and three of Nurnberg’s last five league outings too. Another away trip is not good news for Nurnberg, though, particularly given their track record against Leverkusen. Nurnberg have lost five of their last six meetings with Die Werkself and, as mentioned before, their away record doesn’t show any reason to support why this trend might change on Saturday. And even though Nurnberg have actually failed to keep a clean sheet in 20 consecutive Bundesliga away matches, interestingly, their defensive record is on the rise – only three teams have conceded fewer than Der Club in 2019 – so this shouldn’t be a riot. Our prediction: 2-1 Leverkusen. Bayer Leverkusen haven’t lost any of their last six Bundesliga games against Nürnberg, recording five wins – they only dropped points in their 1-1 draw earlier this season. Of the current Bundesliga sides they have faced at least three times, Nürnberg only concede more goals per game on average against Bayern (1.84) than they do against Leverkusen (1.82). 1. FC Nürnberg have won just one of their last nine Bundesliga away games in Leverkusen (D3 L5) – they claimed a 3-0 win there in December 2011, which was also FCN’s biggest BL victory over Leverkusen. With just 16 goals conceded in 2019, Nürnberg have the fourth-best defence in the Rückrunde. FCN had the league’s worst defence in the first half of the season, letting in 38 goals prior to the winter break. Nürnberg are without a win in any of their last 20 Bundesliga away games across multiple seasons (D3 L17). 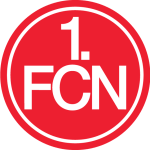 FCN last went longer without securing all three points on the road between 1982 and 1985 (31 games). With just 18 points after 29 games, this is the worst season in Nürnberg’s Bundesliga history. No team with a maximum of 18 points at this stage has managed to avoid relegation. Having scored just 24 goals, Nürnberg have the worst attack in the Bundesliga this season. FCN last had fewer goals to their name after 29 matchday in 1992/93 (23). Leverkusen have lost six of their 14 Bundesliga home games this season. The Werkself have only lost more of their opening 14 home matches in a BL campaign in 2002/03 (7). No side has drawn as few Bundesliga games as Leverkusen this season (3). Their last 16 BL matches have produced 10 wins and six defeats – the last time they shared the spoils was in their 1-1 draw in Nuremberg earlier in the campaign. Leverkusen’s 1-0 win in Stuttgart last time out saw Kai Havertz score his 20th Bundesliga goal at 19 years, 10 months and 2 days old in what was also his 100th competitive game – only Horst Köppel was younger when scoring his 20th BL goal.